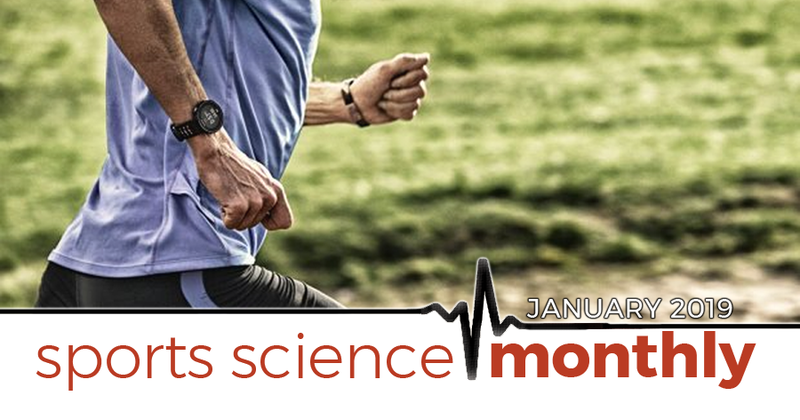 » Quick summary: Telling people they have the risky version of a certain gene can alter their performance in an exercise capacity test, even if they don’t actually have that specific genetic variant. As such, we need to be careful of how information is presented to athletes, as information perceived to be negative may harm performance. Back in December, a cool study was published in Nature Human Behaviour, which demonstrates really nicely the influence of information on performance, and demonstrates how careful coaches and support staff need to be in communicating with athletes. In this study, the researchers carried out two separate experiments. In the first, 116 subjects underwent genetic testing, and then, before they received the results of that genetic test, carried out a time to exhaustion treadmill test. The subjects were then told which version of a specific gene, called CREB1, they possessed. CREB1 has been linked with exercise capacity; people with a specific version of this gene have increased exercise capacity, whilst those with the opposite genotype tend to have a reduced exercise capacity. This is where the experiment gets interesting, however; the results given to the subjects were randomized, and not necessarily related to their actual DNA results. As a result, half of the subjects with the “high-risk” genotype (i.e. the version associated with a reduced capacity) were actually told they had the low-risk genotype, and vice versa. All subjects then underwent a second time to exhaustion treadmill test a week later. This information had a significant effect on the subjects, altering their exercise performance. Those told they had the high-risk genotype perceived themselves to be more likely to perform poorly on the upcoming exercise test, and they reported increased worry and a reduction in control compared to those subjects told they had the low-risk genotype. These feelings carried over to the actual performance test itself; here, those told they had the high-risk genotype exercised for around 22 seconds less than their baseline performance, whilst those told they had the low-risk genotype performance more or less the same. In the second experiment, 107 subjects had a genetic test, and then consumed a standard meal. After this meal, they were asked how full they felt. Then, the subjects were told their FTO genotype. FTO is termed “the fat mass and obesity related gene”, and it’s the gene with the largest effect on body mass, which in turn makes it a risk factor for obesity and type-II diabetes. The effect of FTO is thought to be driven through its impact on feelings of satiety after eating, with risk allele carriers tending to feel less full – causing them to overeat as a result. Again, just like in experiment one, roughly half the subjects were told they had the high-risk version of this gene, and half were told they had the low-risk version. The subjects then ate a second meal, again answering questions regarding how full they felt. Those told they had the high-risk genotype immediately perceived themselves to be at an increased risk of poor post-meal satiety, and were more concerned about this. Furthermore, individuals told they had the protective genotype actually produced around 2.5 times more GLP-1, a hormone associated with satiety, compared to baseline – an indeed felt more full following the second meal. This shows that genetic information can drive a direct change in physiology, irrespective of actual genotype. The authors of this study hold up their results as evidence that knowledge of genotype—whether right or wrong—can affect behavior. This is clearly true, as it’s what their study demonstrated, but its more than that. It shows us how information can affect aspects such as motivation and expectancy, which in turn can affect performance. Telling and athlete they look out of shape can, if they believe you (because, remember, in this study the subjects didn’t know they were being given incorrect genetic results), negatively affect performance. In fact, any information which the athlete perceives as suggesting they will perform poorly has the potential to reduce their performance. This means that, as a coach, close to competition it is important to be giving off the right messages, which are positive regarding performance. This can also hold true for various difference testing procedures; a change in heart rate variability (HRV) prior to a competition is fairly normal, however, if the athlete perceives this change as indicative of fatigue, then their performance may suffer. Similarly, if you’re hand timing time trials, the errors associated with this method may mask performance improvements seen by athletes, again damaging their confidence. What this study represents is a powerful reminder of the power of information, and it suggests that we should aim to be as positive as possible around athletes prior to competition.